Photographer I.C. Rapoport shares this story behind this image of John Collins in the Aberfan: The Days After exhibition here at The National Library of Wales. He lost his two children, his wife, and his home; of his entire life, nothing remained. “This is JOHN COLLINS. He was perhaps the most tragic figure of the Aberfan Disaster – not to take away from all those who mourned the losses of their children – sometimes two children. But John Collins situation was so much more poignantly tragic. His home was next to the Pant Glas Junior School and was completely demolished. Where once the house stood on Moy Road, fifteen feet of thick earth and slurry, rock and muck slowly oozed down the hill after the demolition was complete. John’s wife and young son, Peter, were in the home and were killed almost instantly. His older son, attending the nearby Senior School was caught in the avalanche trying to run home to warn his mam. So John Collins lost everything. Home, belongings, family. Nothing remained. Here he is pictured in the parlor of his Dad’s house in Aberfan wearing a donated suit, the only belongings he had at the time. That and his automobile. Nothing of his life prior to the disaster was left. Not a photo, not spoon or cup. Nothing. When I sat across from him as the LIFE magazine writer briefly interviewed him I couldn’t bear to shoot the photos as he broke down and wept. At the urgings of the writer, motioning for me to ‘shoot’ I asked John if he’d mind if I snapped a photo or two of him. “Go on, man,” he said. “It’s your job.” And so I shot several photos, quietly and respectfully. However, what neither John nor I knew at the time, his releasing me to take his picture would play a part in changing his whole life for the better. For, my photo of him ran in the Aberfan aftermath story and an American woman saw it and was so moved by the photo and his story that she contacted him, met him, and a romance blossomed and they married. He had a new wife, a new life. Of course I was completely unaware of all this as they years passed and then in 2010 I received an email out of the blue from one Bernice Collins who informed me that she was John Collins daughter from this second marriage and told me that it was my photo of her dad that changed his life. John passed away some time ago, but I was thrilled to hear that my work had such an impact on one man. 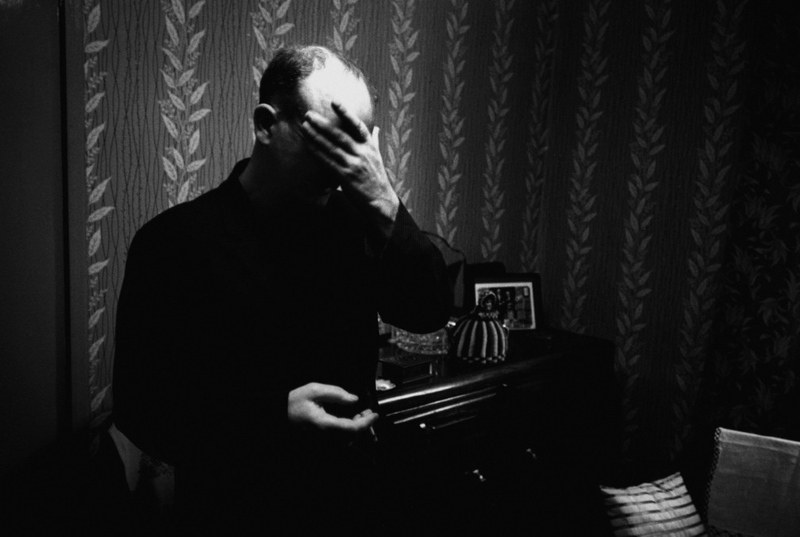 I. C. Rapoport’s moving images of the Aberfan disaster will be presented in the Aberfan: The Days After exhibition at The National Library of Wales until 14 January 2017.